Someone casting a cursory glance at Ellen Notbohm’s The River by Starlight might mistake it for a historical romance. For sure, the central relationship of the novel, between Annie Rushton and her eventual husband Adam Fielding, is certainly both passionate and intense, but the real contribution of this novel is the way it fleshes out and complicates its characters, gradually revealing their traumas and flaws, their desperate desire to connect with each other and the ways in which their individual personalities and the demands inflicted on them by society and by fate alternately tie them together and push them apart. Annie and Adam are, in many ways, ordinary people living ordinary lives. Except for the absence of appliances and technology in the early twentieth-century “Wild West,” they could be our next-door neighbors, our friends. But we know from the time we meet Annie that she has a tragedy in her past: a loving marriage and a beautiful baby ripped from her as the result of her own postpartum depression. When she moves to Montana and meets, then marries, Adam, she longs for another chance at motherhood, perhaps even a resolution of—or restitution for—her earlier loss. But one crisis after another strips each baby from her, and her (and Adam’s) psychological responses to each new grief eat away at their otherwise functioning partnership. Even so, as Ellen Notbohm emphasizes throughout our interview, this is ultimately a book about hope—hope found in sometimes unexpected places, but hope that is nonetheless ultimately fulfilled. 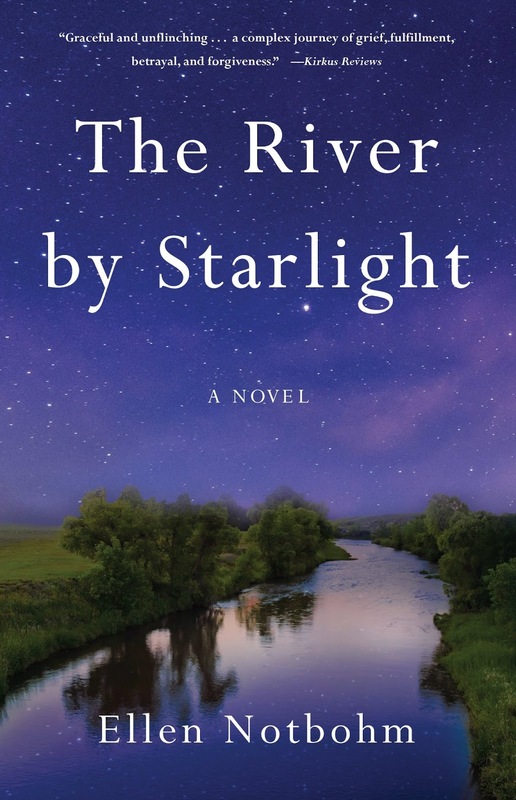 What sets The River by Starlight apart is its author’s rich appreciation of human frailty and resilience. For me, that made it a deeply satisfying read.